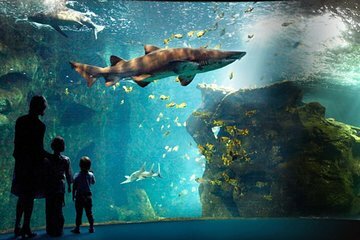 La Rochelle’s aquarium is one of Europe’s largest private aquariums, with over 12,000 marine mammals. But entering the family-friendly space often involves a long wait. Skip the entrance lines with these pre-booked admission tickets, saving you time to spend longer admiring the colorful residents, like jellyfish, sharks, and turtles. The admission tickets also include an audio guide available in four languages, so you’ll have access to commentary throughout your visit. The admission to the Aquarium is free for children under 3 years old.